Why will my dog play fetch but not my cat? Domestication occurred differently for cats and dogs, with dogs helping humans earlier than cats. In fact, dogs came to work closely with humans, relying on them for food and shelter, while cats maintained a more distant relationship, ridding ships and farms of mice (in other words, relying on their own instincts to hunt and catch food). A dog plays fetch because it is an extension of the cooperative working-hunting relationship she or he has with humans, while the cat is more independent and has no such relationship. Then again, this could be debated by many cat owners though—many have cats that actually do like to fetch like a dog. 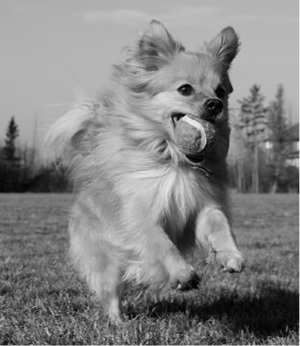 The game of fetch is an expression of a canine’s cooperative hunting relationship with his or her owner.